Good questions! I often see ants at these in gravel parking lots and along foot paths. 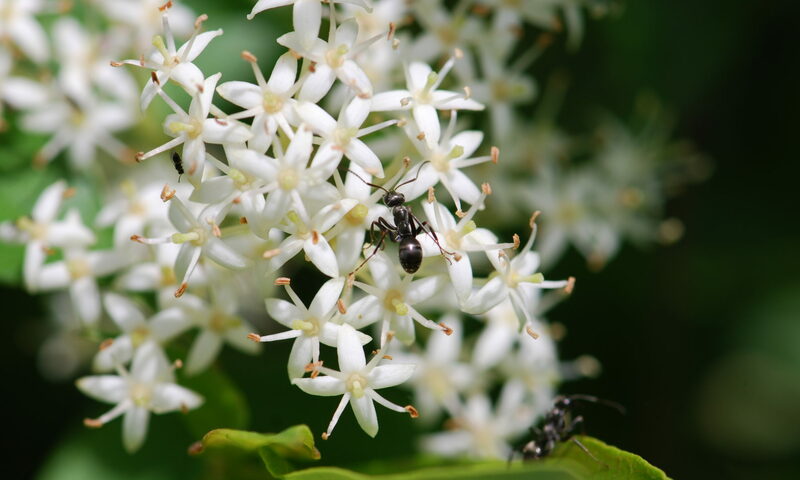 Indeed, I once observed 7 different species of ants visting spurges in the gravel mulch of a largish tree planter box (10 X 10 ft) at a gas station, completely surrounded by pavement and plowed ag fields – an oasis in an ant desert, if you will. 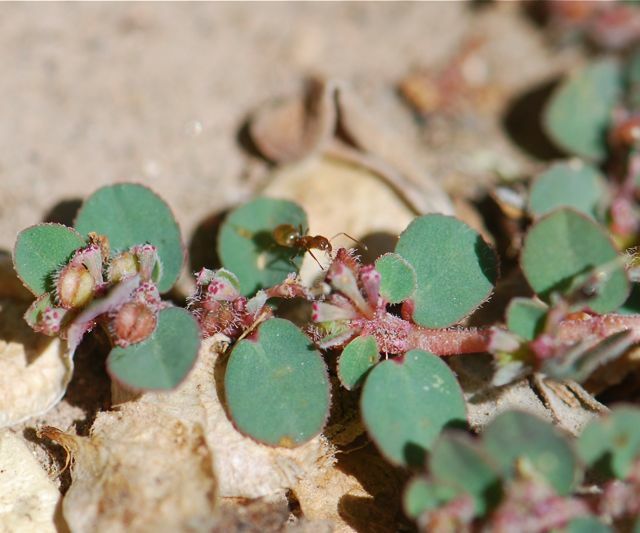 Ants are attracted to spurge in my garden and on the gravel driveway. On the driveway they seem to collect and store all the tiny rock particles around the plant base and colonize. In the garden they seem to colonize around the plant base in the garden beds. 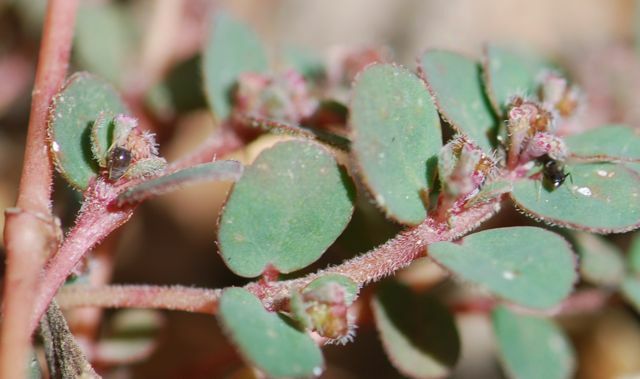 I cannot comment on the reasons for doing so because I haven’t spent enough time observing their actiivty but I assume it may be the harvest of seeds since spurge is a prolific producer of seeds. That is a good point. Do you have any ideas what kinds of ants are involved? 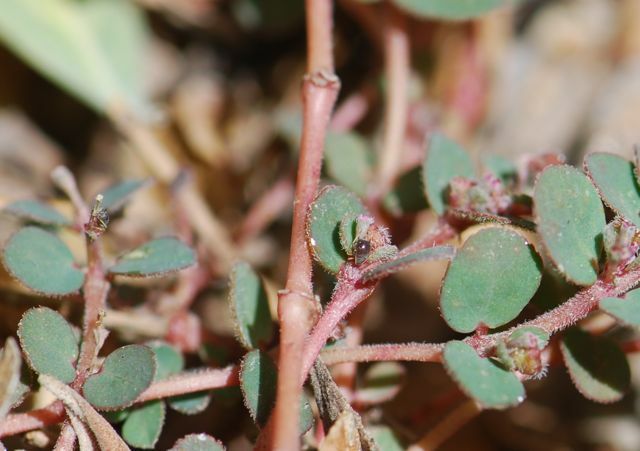 One idea I have had is that the fast-growing root system of the spurge might be attractive for the ant’s nest-making proclivities. Perhaps this and the other factors spell land of milk and honey for the ants. Those are some things I hadn’t thought of. Interesting ideas. 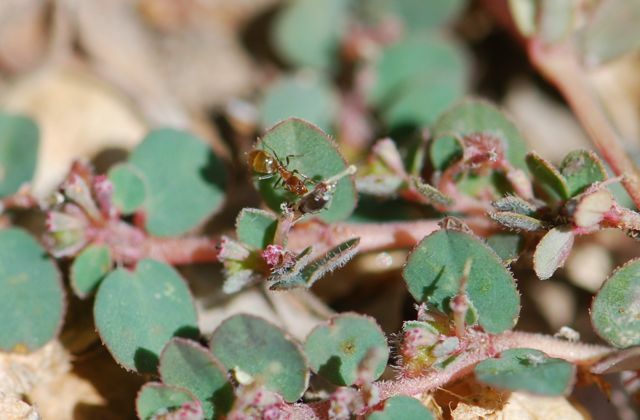 I have noticed ants seem to be everywhere spurge is found.. In my garden, ants build their nests under spurge plants. That’s a cool observation Do you know what kind of ants? 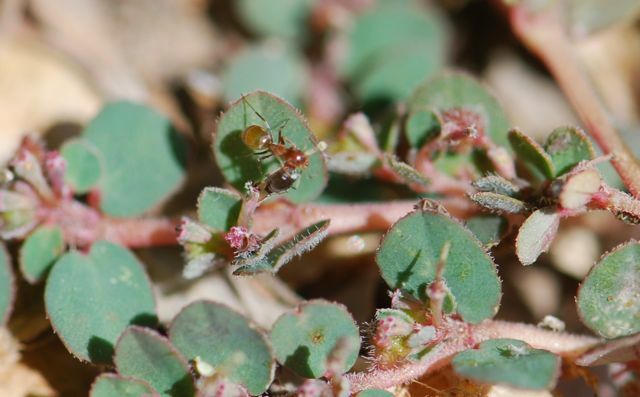 A list of ant species I have found on creeping spurge here in Missouri includes Forelius pruinosus, Crematogaster lineolata, Monomorium minimum, Pheidole pilifera, Formica pallidefulva, F. incerta, F. subsericea, Lasius neoniger, Nylanderia terricola.